Hypermarket chain Homeplus is to launch a range of merchandise in collaboration with BTS. According to Homeplus on Thursday, the market became the only offline shopping mall to launch products using the group‘s BT21 characters. 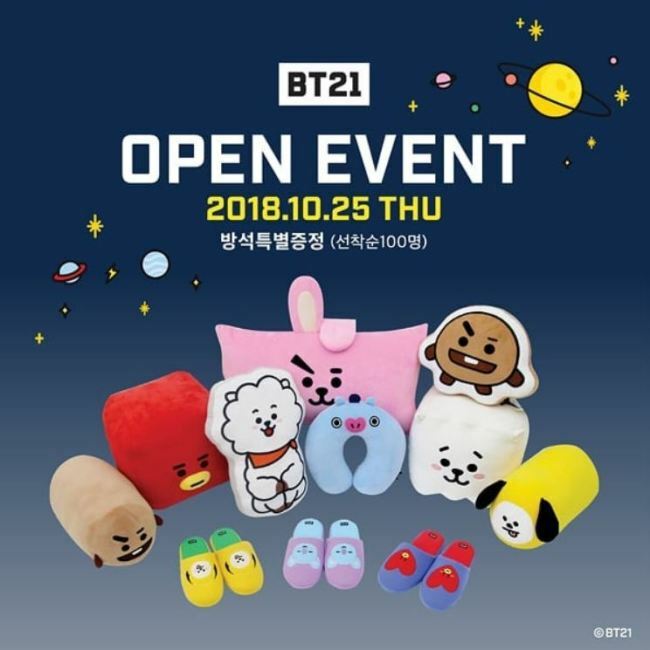 There will be some 49 living products including cushions, blankets and slippers with BT21 characters, luring fans of the K-pop sensation BTS to decorate their houses. However, the products will only be sold until Nov. 28, not in every Homeplus but designated 130 branches nationwide. On Saturday, the discount chain will launch the new products in Homeplus Mapo World Cup branch in Sangam-dong, Seoul and give out various free gifts to the participants. BT21 characters – Tata, Chimmy, Cooky, Koya, RJ, Mang, Shooky and Van -- were created by the collaboration of the global character brand Line Friends and global artist BTS. The character became a big issue as BTS members participated from the first sketch to providing characteristics of the characters at the end.